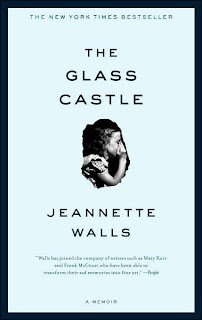 A Literary Odyssey: Review: The Glass Castle by Jeannette Walls. Review: The Glass Castle by Jeannette Walls. I would have never picked up The Glass Castle normally. I am not the biggest fan of memoirs, even though I love biographies and autobiographies of historical figures. But this title always repulsed me from the beginning. My university hosted a "One Book, One Community" event every year in the effort to draw college students and the at-large community together through reading. I was never interested in it, as it seemed like a big disorganized mess. But the year this book came out, 2005, the university chose it. I heard about the novel through the grapevine and some resulting bad press. I believe this was all around the time that James Frey was combating rumors about the legitimacy of his own memoir and that has always been stuck in my mind. For me memoirs = lies. Perhaps that is the wrong way to go about it, but I had a sour taste in my mouth. So why did I read this? This book is a requirement for seniors in the school district I am teaching in starting in January. 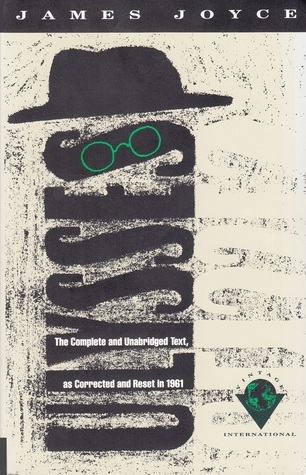 And since I am teaching a section or two of senior English, I figured it might be a good idea to read this novel before I begin to teach it. I bought a copy and brought it home, eying it warily before diving into it one night. And I was surprised. I was hooked and finished the book in one long sitting on my couch. It was moving and deep and beautifully written. Jeannette tells the story of her childhood and the inattention her parents have for their children. Along with her two sisters and her brother, Jeannette is neglected. Her parents, while intelligent and ready to have children, seem to pay little attention to the kids once they come along. Neither parent holds down a steady job or paycheck. When money does come in, the kids learn to hide it from their father out of fear they won't eat. In the beginning they travel from little town to little town by car. They stay only long enough to get what they need before moving on. The first scene of the novel is when a very young Jeannette burns herself by the stove (she is four) and has to spend an extended time in the hospital. Obviously the staff begins to ask questions, but before anything can be done, he father comes in and takes her out of the hospital before fleeing. This way of escaping is something the Walls family seems to do constantly. Her parents are incredibly selfish. They make a home out of an old railroad depot for a couple of years and seem to be beginning to prosper. But in one rough patch, all that is left to eat is a stick of butter, which the girls split. Upon hearing that they ate it, the mother has a fit. There was another point in their lives that the family was starving, but the mother was gaining weight. The kids eventually caught her in bed with candy bars and after asking for food, their mother told them no and that she didn't want to share. The kids and parents continuously live on the brink of poverty, but the parents don't see a problem with it. It also becomes clear that the kids need to take over and mature before their lives are ruined. The kids mature quickly and experience things that I haven't even experienced. Jeannette was a victim of two sexual assaults-one a boy in the town with the railroad depot, and once by her uncle. Her parents didn't seem to care about either. I was hooked, and pages were flipping quickly as I took in the story of the Walls family. A lot of it was disbelief, that parents would act this way towards their children. That a parent wouldn't care that their kids have nothing to eat and are freezing at night. That a parent would take their young teenage daughter to a bar to help hustle money, and not care when she was taken upstairs by a grown man. Eventually the kids escape, one by one, to New York City. The parents eventually follow, but for once, the kids are allowed to live their lives in the way they should. I was overwhelmed when I finished, so I had a long talk with Matt about the story as whole. A lot of the conversation steered towards how I was going to teach a novel of such desperation and poverty to the students in this district? The fact is, this district is one of the wealthiest in the state and the school where I am teaching contains the wealthier subdivisions in the district. I can guess that most of those kids won't be able to relate to these characters beyond pity, so I am struggling with how to make those connections. I was moved by the story, having seen the truth behind it. I have taught in areas where poverty is apparent and I know that students I have had have come to school hungry and wishing that school lasted 7 days a week so they could have 7 meals/week as opposed to 5. I have seen some nasty things in the schools I have worked in and I know that stories like that of Jeannette Walls are still out there. But many of those kids will never escape it or find a way to voice it in the way that she did. So yes, I certainly did love the book and many parts of me are excited to teach something that is so raw and powerful. I know that for many of my future students it will be their first real exposure to poverty. I am hoping that this book will shock them and get them to think about their own strengths and abilities to make the world that they are living in a better place. Cheesy? Yes, but sometimes students need a kick in the pants to see where their own power comes from. My one concern was with some of the language. I don't have a problem with small amounts of nasty language. As a writer, I know that sometimes the only way I can get a point across is by a well-placed four letter word. It happens and I can accept that. But I am worried as to how I am going to teach this, especially when my most hated word in the world is a part of it (I am speaking of cun*). If I was a parent, I am sure I would have some issues with my children reading a book with that word in it. But, it can be a learning experience for me and the students, so hopefully no drama ensues when we get to that part of the book. In any case, I am looking forward to exploring this deeper with my students and perhaps giving memoirs a second chance in the future. I'm adding this to my To Read list. In terms of your students relating, I think many people, can relate to feeling neglected by their parents at least at some point. While the experiences will be vastly different from those described in the book, calling for empathy based on that shared feeling of need may be one way to get them invested. I'm not a big fan of memoirs either, but I really liked this one. I think the thing that really surprised me was how gently Jeanette Walls treated her family. She didn't deride them or demonize them...quite the reverse, actually. I think that this was necessary to provide balance, allowing the reader to be able to take in all the bad stuff and not feel overwhelmed. I also liked how she emphasized the extremes that can lived inside of us. Her parents were vastly neglectful, and yet they emphasized math, science, reading, the arts. What a picture of the good/bad parts of humanity. I am delighted that you may be giving memoirs another chance after the unfortunate James Frey scandal sullied the idea of them for you! I think it is important to remember that memoirs are one person's best recollection of a series of events and that ultimately reality is subjective. There are simply no two identical realities in this world because reality is skewed by individual perception. As to the language in the book, some schools require permission slips from parents for the reading of "questionable" material. Wondering, does the school you will be teaching at require that sort of thing? I have also kind of veered away from this one. I don't like memoirs, and this sounds like ugly stuff. Maybe I should get over my issues and read it! I've heard a lot fo great things about this one but I've honestly not been very interested. I used to love memoirs but have gotten away from them more and more lately. It's good to hear your good opinion on it though. Maybe I'll try it at some point. My brother read this and told me I would like it, though I've never been able to get around to it. Thanks to your review I'm about to go order it from amazon. Also, I would love to hear how you eventually decide to approach teaching this book to your students. Good luck. I think for the poverty aspect, you can relate to the struggles we are having here in Michigan. I am sure that many of these students know of someone who is struggling along or were affected by the major downturn we have had. I'm sure many of these families have cut back, even though they may be wealthier. For the abuse part, I think most people feel that they have been abused in some way or aspect of their life by someone or something. Her's is physical, which unfortuately happens quite a bit. Try to find relatable things to go with that. Also, I know of parents through the years, that also have been very selfish, even though you may not have seen it. I'm sure a couple of your students will be able to relate to that. The moving from one place to another, is another aspect we have alot in our area, due to the car companies. Some students will relate to moving and everything that it entails. Just remember, you never know what goes on in someones home, no matter the economic climate. Sometimes that even can be bad and not a good thing. For the language, I would talk about why do we all seem to feel the need to use words that can cut someone down, classify them, etc. What does that say about us and our use of the word(s). I think if parents are upset, if you tell them you are approaching it this way, they just may back you up. This age is where it all really escalates. I see a lot of areas that can be really good teaching tools, especially with them going out into the world and will be meeting new people and experiences. Great learning tool actually, can I borrow the book? This book surprised me too. Like Melody, I was really impressed that she didn't demonize her parents. I never got the sense that she was trying to get back at them by telling her story. For some reason, that gave her more credibility with me. This one depressed me, and I couldn't get into it. I can certainly see opportunity, in teaching it to a group of wealthy students. For me it was like reading life, not seeing a new perspective. I didn't care for it. I think what makes Walls' book more palatable than some other memoirs is that, while she is talking all about herself and her life, the tone is not whiny and self-loathing, even though she has WAY more reason to be than most other memoir writers. Though her parents were less than stellar, she approaches telling her story with the intention of conveying what she learned and what she gained rather than what she lost. I do enjoy memoirs, but haven't read this one because I wasn't sure I would enjoy reading about a dysfunctional family as I'm very sympathetic toward children. However, I am looking forward to reading about Walls' grandmother in her new book "Half-broke Horses". I have ignored putting this on the TBR list for awhile, but I think your review might just finally make me write it down! Really well writen review, I now look forward to picking this up! I love hearing your thoughts about teaching this book. I cannot imagine. The book sounds incredibly powerful but it sounds like it deals with a lot of stuff I would not have been ready to deal with at that age. Best of luck. Maybe you can provide them with the right kind of support. I listened to The Glass Castle on audio and wanted to just keep driving around until it was over. I am glad your opinion of the book changed and can certainly see where the James Frey thing could have shaken your faith in memoirs! I've never liked memoirs, but I'm with you, this one was amazing. I feel like it would have been just as powerful if it was presented as a fictional story or something else. I have no idea how you're going to teach the language bit, that's tricky. Hey! I wanted to let you know I linked this post in my Friday Five this week over at Kate's Library! Goals and Resolutions for the New Year! 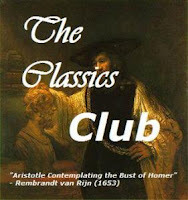 A New Year Classic Giveaway. Book 64: A Separate Peace and Book Stats. Review: Pegasus by Robin McKinley. This and That on a Monday Night. Review: A Tree Grows in Brooklyn by Betty Smith. Review: The BFG and Matilda by Roald Dahl. Review: The Chronicles of Narnia by C.S. Lewis.